What's new in 2019? 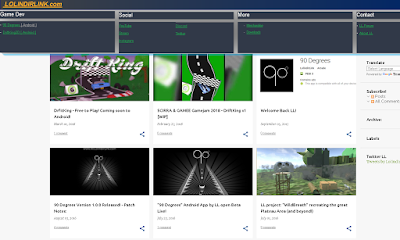 - Overview of upcoming and in-progress projects! But first, What's happening, RIGHT NOW? 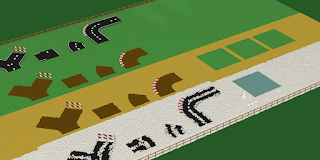 DriftKing 2D Will receive 3 new biomes, and 2 new cars. The tutorial has been replaced. The standard game mode has received an overhaul. A few bonus objectives added. Biomes and cars are only unlockable by playing or paying. The Driftking 1.2 update is scheduled for early February 2019. I'll take a break from Development on DK2D to continue working on some of my other projects. Read more about them below! Everything will be a little more smoothed out. And more content will gradually be build up. (More files to downloads And playable demo's for example) Suggestions are, as always. very much welcome! I Will also continue using Blogger by Google to write posts like this. There are other pages like Patreon and Discord. But that's up to you. Oof! This one is a chunk! Or rather, a whole bunch of chunks to be worked on! And it's also a low-priority side project for now. It's mere existence is based on what @Meikitamemo does on his YouTube channel. - YTM makes it easier to manage multiple video descriptions. - Timestamping is faster and can be done without interruptions or pausing the video. - Backup description texts, easier management and updates. I need a new logo for 2019 too! "TrainTrip" scheduled for a launch on Steam in 2019. DriftKing 2D (Februari 2019) - v.1.1 Launching Soon! Just A Few renders for now All of these renders are new assets for "DriftKing 2D"
These took quite a long time to render! Poor little laptop.. It held up well. Doing renders as of speaking! Updates - LolindirLink.com - Steam Developer! - 90 Degrees update! - TrainTrip & more! LolindirLink.com has been updated! (Also, I'm posting something new again!) So getting my website to run smoothly on most devices has been fiddly, to say the least. I use Adobe Muse for the most part, but unfortunately, it's very buggy. So instead, i'll rely on other services like Google's Blogger (right here) to fix the homepage content dynamically. It kind of wroks, but not all pages link back to LL.com so that's a drawback. Going to fix a couple things here and there, and then move on again, for now. 90 Degrees (Google Play) Updated! Here we go again! Another "Big" update for 90 degrees has been published! The "Big part here was a familiar occurence..
Long story short: Cocoon.io was my main "Html>Android" converter.